This smoothie is the ideal start to your working day. An exquisite refreshing breakfast, packed with good vitamins and minerals! Put the bananas, raspberries, almond milk, and almond paste into the blender and mix them into a thick, creamy smoothie. Use the crushed ice function if your blender has one. Put the smoothie in a bowl and mix it with the granola. 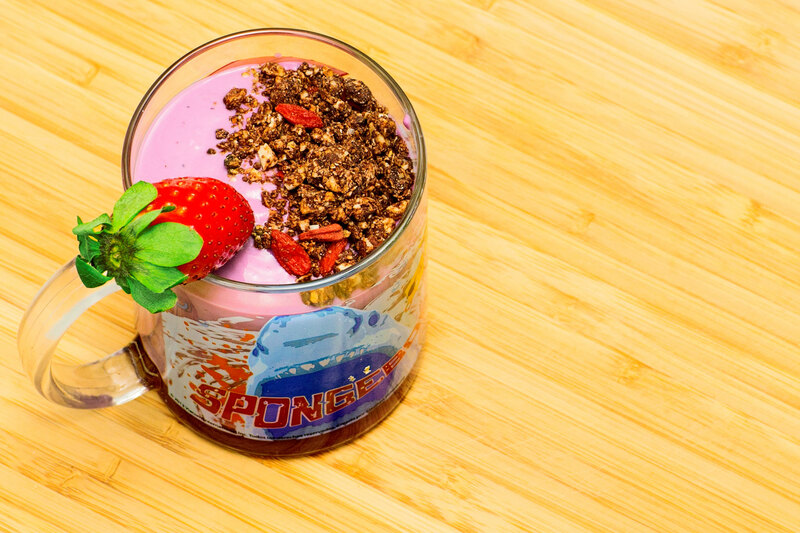 Decorate the smoothie bowl with some additional red fruits and add a crunchy bite with the pumpkin seeds and an extra spoonful of granola. Enjoy your meal!